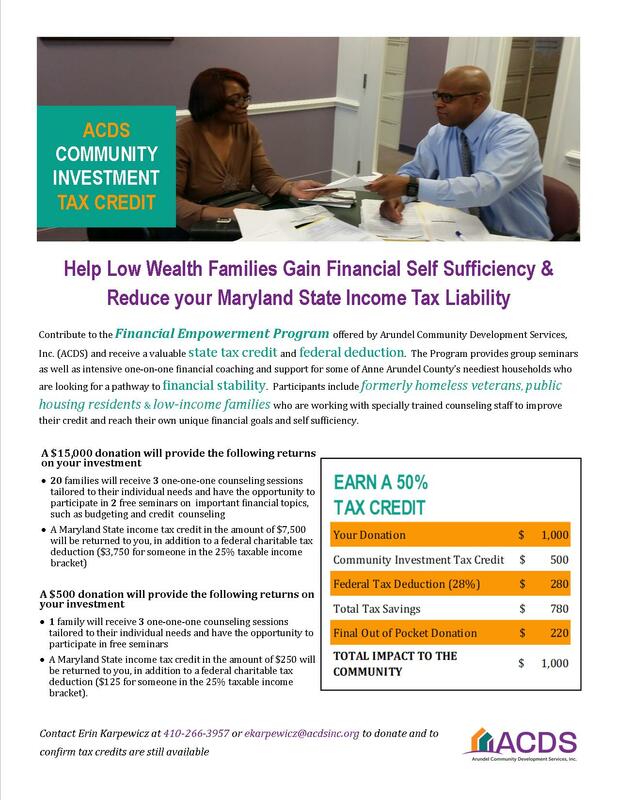 MD Tax Credit Allocation Available for ACDS Donors! 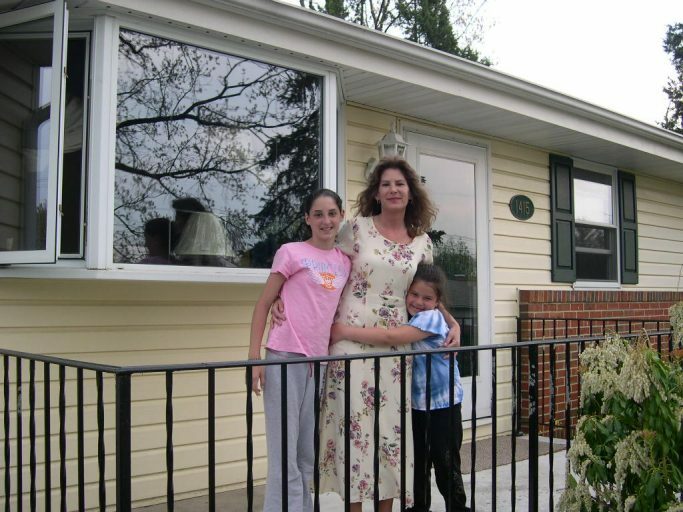 - Arundel Community Development Services, Inc.
You are here: Home / News / MD Tax Credit Allocation Available for ACDS Donors! 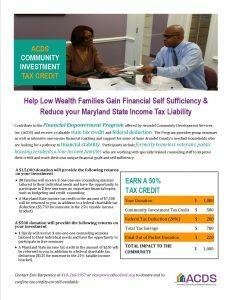 MD Tax Credit Allocation Available for ACDS Donors! UPDATE: ACDS’ allocation of Calendar Year 2017 State Tax Credits are now fully subscribed. However, Calendar Year 2018 State Tax Credits have been awarded and will be available early in the new year. Contact Erin Karpewicz at ekarpewicz@acdsinc.org or 410-222-3957 today to discuss a donation in the new year. For more information see the infographic below.